Daniel Augustus Tompkins of Charlotte, NC, was one of the most eager advocates for textile education in the South. 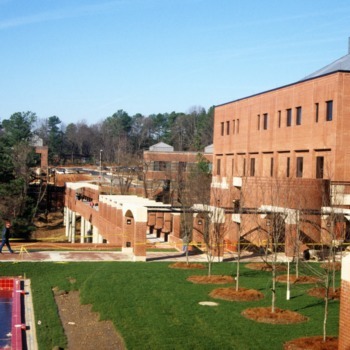 After initially planning to establish a textile school in Charlotte, Tompkins and other community leaders, including Judge Heriot Clarkson, concluded to establish the textiles school as part of the newly founded North Carolina Agricultural and Mechanical College (NC State University) in Raleigh. George Franks Ivey taught the first courses in textiles in the fall of 1899. Courses specialized in cotton manufacturing and milling, designing twills, and mill engineering, and were taught in Holladay Hall. In 1900 the college expanded its textiles program; George Franks Ivey left and Henry M. Wilson joined the faculty as an instructor in cotton manufacturing. The college offered courses such as carding and spinning, weaving, textile designing, and textile chemistry and dyeing. The courses provided students with specialized expertise to operate mills and use advanced scientific research in the textiles industry. Thomas Nelson, a young Englishman arriving from the Lowell Textile School in Massachusetts, became an instructor of weaving and design in the textiles program. Nelson was well educated, as a graduate of Preston Technical School in England in 1891 and the Lowell Textile School in 1899, and had extensive industrial experience. William O. Bennett was the first graduate from the textiles program. He earned a Bachelor of Engineering in Textile Industry. 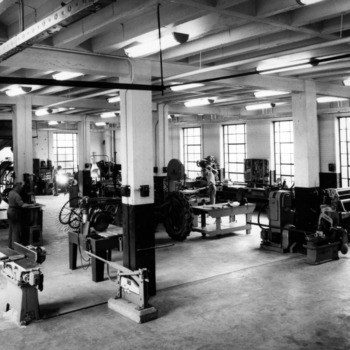 The original textile equipment was housed in the basement of Holladay Hall. Support for the program grew, and in 1901 the North Carolina General Assembly appropriated $10,000 toward the construction of a textile building. 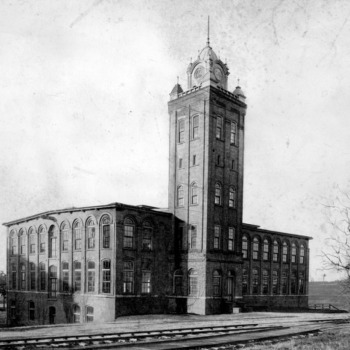 This structure, Tompkins Hall, resembled a textile mill of the period and was completed in early 1902. In 1917 it was named for Daniel A. Tompkins, a Charlotte industrialist who was instrumental in the establishment of the textile program at NC State. Donors in the textiles industry contributed over $25,000 worth of machinery. Following the resignation of Henry Wilson, Thomas Nelson was promoted to professor and selected to head the textile department. A gold medal was awarded at the Jamestown (Virginia) Tercentennial held in 1907 for fabrics designed and woven by students of NC A&M College. This was the first award of many that would follow as the reputation of the school and its graduates grew. Fire destroys the Textile Building (now Tompkins Hall) and all the equipment inside. 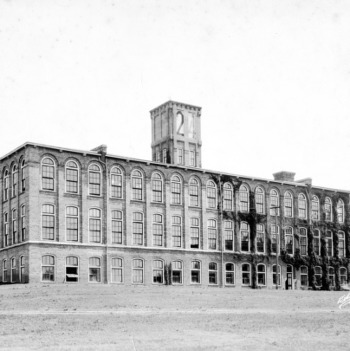 The Textile Building was rebuilt the following year, with the local textile industry contributing new equipment. 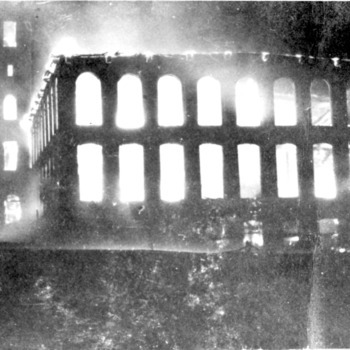 A fire on March 25, 1914 destroyed Tompkins Hall and all the equipment inside. It was rebuilt the following year, with the local textile industry contributing new equipment. During the rebuild, an additional 25 feet were added to the west end of the building. The Board of Trustees removed the Textile Department from the School of Engineering and created a separate School of Textiles. Becoming a separate school enabled Textiles to have its own dean and to compete on an equal basis with the other schools within the college for money, faculty positions, equipment, and space. 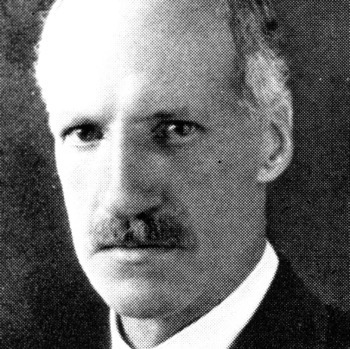 Thomas Nelson became the first dean, serving until 1943. Under the leadership of Textile Chemistry and Dyeing instructor Kenneth MacKenzie, a Master of Science degree program was established. The first student to receive this degree was Wei Pen Chen. With the creation of the new School of Textiles, Dean Nelson hired Albert Harvey Grimshaw to head the Chemistry and Dyeing Division. A former pharmacist, Grimshaw became interested in textile chemistry and studied at New Bedford Textile Institute, MIT, and Columbia University before coming to NC State. Dean Nelson was granted an honorary Doctor of Science degree by NC State in 1926. He was also honored at a meeting of the Southern Textile Association for his leadership in textiles over 25 years at NC State. A new Bachelor of Science degree in yarn Manufacturing was created in 1929. The first three graduates earned degrees in 1932. 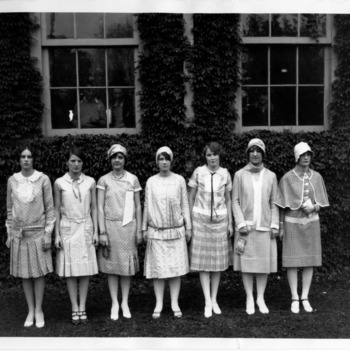 The first female undergraduates in textiles were Eleanor Mae Greene and Virginia Lee Reinheimer, who received Bachelor of Science degrees in Weaving and Designing. Additional funds were appropriated to supplement a Public Works Administration grant from the government to construct a new building. Textiles faculty objected to a proposed site on Hillsborough Street near the railroad tracks, because smoke, noise, and vibration would be injurious to equipment in the labs. Instead, a site proposed on a pecan grove at the far west end of campus was chosen for a four-story, fireproof building of concrete and steel, faced with brick, bringing a 50% increase from the space in Tompkins Hall. 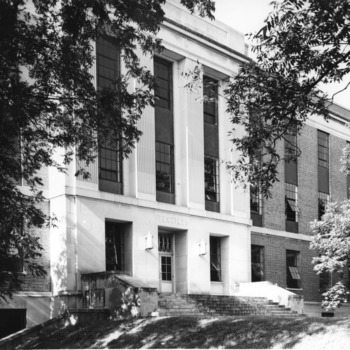 The new building for the School of Textiles was dedicated on March 5, 1940. Present at the dedication was Dean Thomas Nelson, Associate Justice Heriot Clarkson of the NC Supreme Court, and Governor Clyde R. Hoey, who as a young legislator in 1901 had voted to approve the formation of a textile program. In 1954 the building was named for Thomas Nelson, dean of the School of Textiles, 1925-1943. William C. (Bill) Friday received a Bachelor of Science degree in textile manufacturing. He later served as President of both the Consolidated University (1956-1972) and the UNC-System (1972-1986). During World War II the North Carolina textile industry, with the help of many NC State alumni, produced more fabric for the war effort than any other state. The Textiles faculty conducted a 12-week course for fabric inspection and testing for war industry personnel, and conducted courses in mill safety. Male student enrollment dropped, but women and international students were able to continue studies during the war. 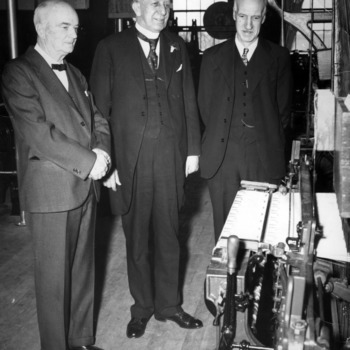 Malcolm E. Campbell became of Dean of the School of Textiles in 1943, and served in that position until 1967. He was appointed with a mandate to emphasize research, and arrived from the Textile Research Institute in New York where he had been a research manager. The Student Textile Exposition and Style Show was interrupted from its successful annual program in 1943, presumably due to a decrease in student population during World War II. 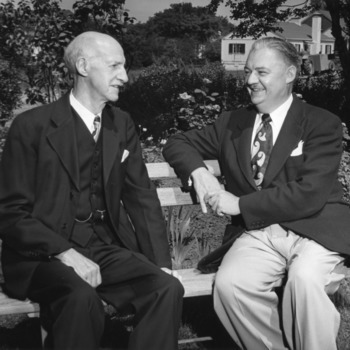 Dean Campbell hired Elliot B. Grover in 1944 as a professor of Yarn Manufacture. Ed Shinn returned from the war where he had risen to the rank of major in the Chemical Warfare Branch of the US Army, and would head the knitting area in the School of Textiles. 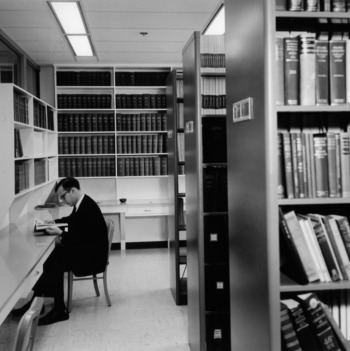 Many new materials, compounds, and processes had been developed during the war, prompting the faculty to reassess and update the teaching programs and curricula. 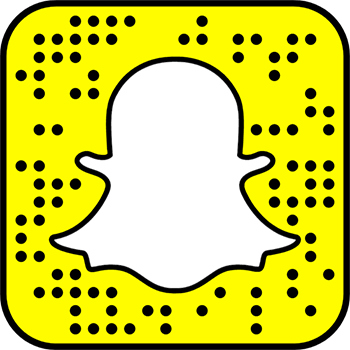 Grimshaw wrote that the list of processes with major changes included, "sizing with cellulose ethers; dyeing and finishing in one process for permanent finish; the many uses of resins in finishing; continuous bleaching processes; high speed printing; the great interest shown in processes for water proofing, flame proofing, mildew proofing, etc., either by themselves or in combination; and radiant heat in drying," as well as studying the "properties of the new fibers such as nylon, Vinyon, Aralac, Plexon, Saran, soybean, etc.," and of "the natural fibers and their blends with the new synthetics." In February 1945, the state allocated $25,000 to develop a new program in hosiery, underwear, and flat knitting. 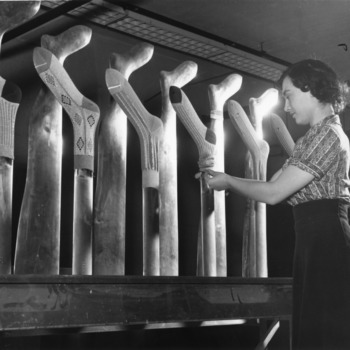 A knitting department was established in 1945, and a four-year program in knitting was implemented in 1946. 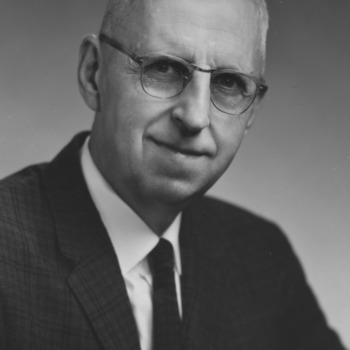 Henry "Hank" Rutherford became head of the Department of Textile Chemistry, and he served in that position until 1974. 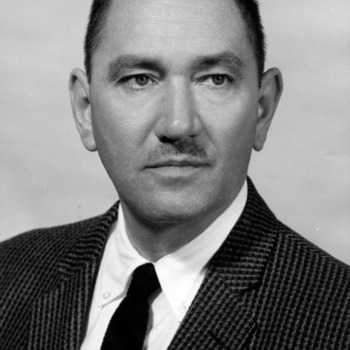 While at NC State he pioneered research in radiation chemistry of fibrous polymers. In his research he examined the durability of fibers exposed to radiation, which had applications in dyeing and finishing of textiles. Duke Kimbrell a Bachelor of Science degree in textile manufacturing. 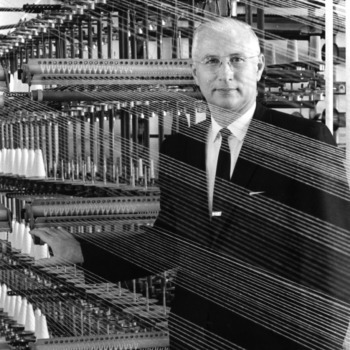 He later became chairman of Parkdale Mills, Inc., the largest manufacturer of spun yarn in the world. A velvet carpet loom is installed on campus for use by the School of Textiles. 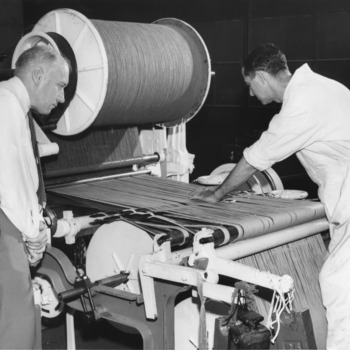 The velvet carpet loom has been installed in the School of Textiles at North Carolina State College and will enable the school to strengthen its instructional program in weaving, July 1951. 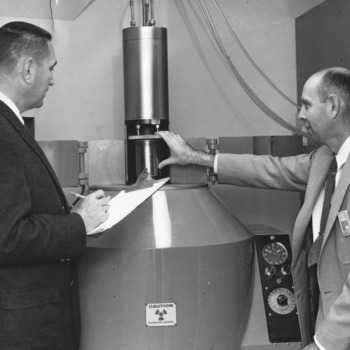 Interest in radiation applications began in September 1953, when NC State received a nuclear reactor. 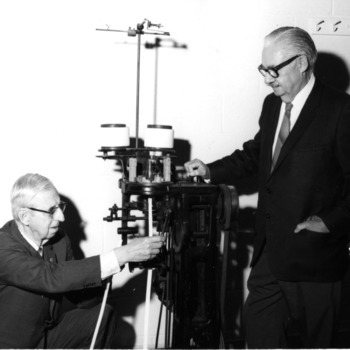 Henry Rutherford, head of the Textile Chemistry Department, recognized the value of the reactor as an energy source and led early research on how textile materials, polymers in particular, would behave when exposed to radiation. The Peru Project is established, a cooperative effort between NC State, the Foreign Operations Administration (U.S. Agency for International Development), and the government of Peru to develop programs in agricultural and textile research, extension, and education. William Edward Shinn, head of the Knitting Department, developed knitted tubes using synthetic fibers to serve as artificial aortas. The knitted aortas were more flexible than the woven tubes previously used. Dean Campbell had an artificial aorta implanted in 1970 after suffering an aneurysm. He lived to 1978 with the help of the synthetic aorta that resulted from research he had supported. 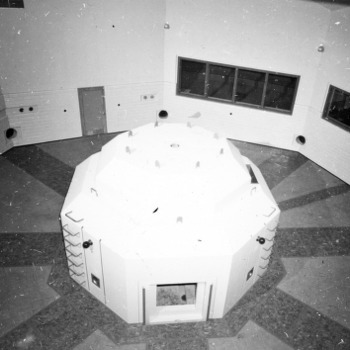 A Cobalt-60 reactor worth $96,000 was dedicated on November 3, 1958, in the basement of Nelson Hall. Gamma radiation was used to investigate polymer transformations. The research of Henry Rutherford, William Walsh, Rosa Kirby, and others over the years led to the development and commercialization of permanent press curing of cotton. Two faculty in the College of Textiles, J.B. Gaither and J.W. Klibbe, reinstated the annual Textile Exposition and Style Show in 1959 as a Phi Psi project. Gaither had graduated in Weaving and Designing in 1938, participated in the Style Shows as a student, and realized the value of providing textile design students an outlet for their creativity. The shows continued for several years but were eventually dropped. Professor Ernest B. Berry challenged his senior-level students to design and weave a calendar with a School of Textiles design at the top and a monthly calendar positioned below. The winning design resulted in a green-and-white calendar assembled with surplus Fortisan warp and acetate filling. The calendars were such a hit with the members of the class, faculty, and staff, that the project became an annual event. The three separate departments of Weaving, Knitting, and Design were eliminated and merged into one department named Textile Technology. 26 old textile courses were dropped and 15 new courses added to form the new curriculum. Francess Massey became an instructor in Textile Technology. She was the first female faculty member in the School of Textiles. Following a proposal by the Director of Research Bill Newell, the expanded textile chemistry research program moved into Mangum Hall, which was renamed David Clark Laboratories shortly thereafter. John T. Bogdan developed a lint-free washcloth that was used on the Gemini and Apollo space flights. Solomon "Sol" Hersh joined the faculty of the Department of Textile Technology. Previously he had received his B.S. from NC State in 1949. In 1995 he became the first faculty member from the College of Textiles to receive the Alexander Holladay Medal for Excellence. 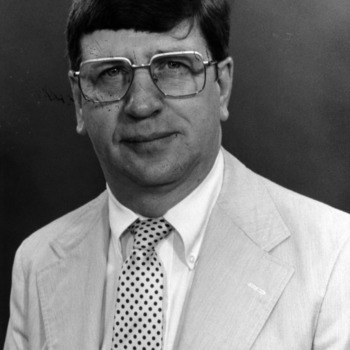 David W. Chaney became Dean of the School of Textiles in 1967 and served in that position until 1981. A veteran of 25 years of industrial research, Chaney arrived from Chemstrand Research Center at Research Triangle Park. He was the first person with an earned Ph.D. to be named dean of the School of Textiles. Shortly after David Chaney became dean, the Board of Governors and UNC administration granted approval to create a doctoral program in Fiber and Polymer Science. 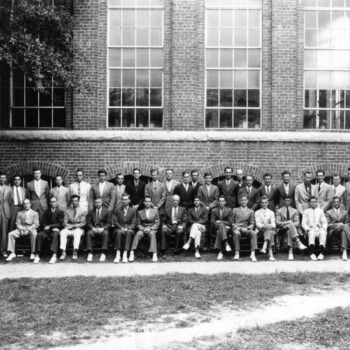 It was the first doctoral program at a school of textiles in the southeast and the first fiber and polymer science program in the country. The name was meant to include more than chemistry and to unite all aspects of textiles, engineering, and many other disciplines. The program included faculty from the departments of Textile Chemistry, Textile Technology, Statistics, Chemical Engineering, and Mechanical Engineering. Dean Chaney later said that the program was instituted in "recognition of the need for graduates with a high degree of scientific training in the man-made fiber industry, and for the growing demand for similar levels of training within the primary textile industry." Textiles extension short courses in Charlotte and New York were announced in 1968, and they were exceedingly popular. The New York course on knitting fundamentals was oversubscribed by nearly 300%. In 1969 thirteen added courses were offered in Raleigh, featuring NC state faculty and in-plant industry executives from mills as guest lecturers. Over time, textiles extension programs have evolved to meet the needs of the industry. Vincent Fang was awarded a Master of Science degree. He had previously earned a Bachelor of Science degree. He later started the first knitting operation in Hong Kong. Joel L. Williams was awarded a Doctor of Philosophy in Fiber and Polymer Science. This was the first Ph.D. awarded in the School of Textiles. For many years prior to studies in the 1970s, textile mill workers exhibited lung damage symptoms similar to those of coal minors. The condition was diagnosed as byssinosis, a pulmonary disease associated with inhalation of cotton processing dust. Beginning in 1973, research to help solve this problem became the largest integrated research program in the School of Textiles. This research led to measurable reductions in airborne lint and finer particulates, and to a decrease in byssinosis among textile mill workers. A new Textile Design program was created jointly by the School of Design and the School of Textiles at NC State. Students received basic design fundamentals in the School of Design and were then able to apply this knowledge in textile-oriented design classes. R. Alan Donaldson, a graduate of the Scottish Textile School and former employee of Guilford of Maine's New York, was the first professor in the program. The School of Textiles added an apparel manufacturing option to its curriculum starting in September 1977. In addition, the newly organized Department of Textile Materials and Management offered a degree in textile management. A cooperative venture was planned with the Fashion Institute of New York and the Southern Technical Institute, a division of Georgia Tech. As technology changed, so did the curriculum for the College of Textiles. In 1980, military science was dropped from the curriculum and courses were added in fiber-forming polymers, a year-long course in physical chemistry, and a course in computer science. Dame Hamby became Dean of the School of Textiles, and served in this position until 1987. 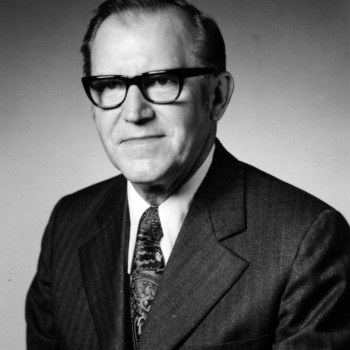 Hamby had served the college in many capacities and led the fight to obtain renovated or new facilities through relationships with industrial contacts and the legislature. The Burlington Textile Library was renovated and expanded into extra space in Nelson Hall. The additional space included room for more book stacks, videotape review stations, and later, a few personal computers for student use. The Bachelor of Science in Textile Engineering was approved by the Curriculum Committee and the Provost in the spring of 1986. The first courses were taught by David Buchanan and Perry Grady. Robert A. Barnhardt became Dean of the College of Textiles, and served in this position until 1999. 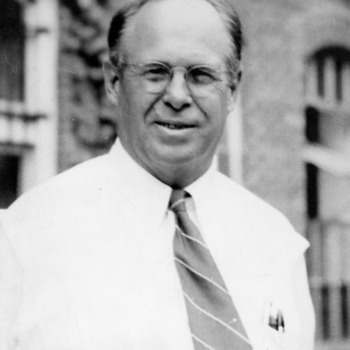 Barnhardt was influential in developing plans for the College of Textiles to move to new facilities on Centennial Campus. The Textile Engineering and Science (TES) Department, headed by Solomon P. Hersh from 1985, was incorporated into the Textile Chemistry Department. The combination was renamed Textile Engineering, Chemistry, and Science (TECS) to reflect the recent creation of the Bachelor of Science in Textile Engineering degree program. A groundbreaking ceremony took place on May 17, 1988, with Dean Robert Barnhardt, Chancellor Bruce Poulton, Dean Emeritus Dame Hamby, and other campus leaders. 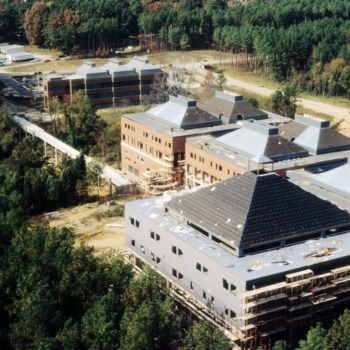 Construction began on May 24, 1988 and was completed in 1991. The new College of Textiles building on Centennial Campus opened its doors in 1991. 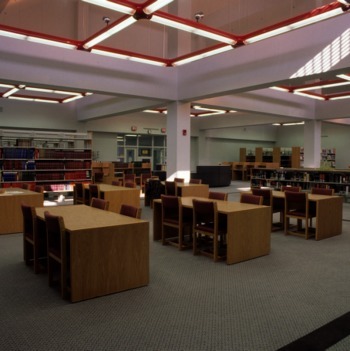 The new building included computer facilities, heavy machinery processing laboratories, classrooms, meeting spaces, administrative offices, and the Burlington Textiles Library, and represented an approximate 50% increase in net usable space over the Nelson and David Clark Laboratory facilities. In conjunction with the move of the College of Textiles, the Burlington Textile Library moved to Centennial Campus, making it the first library unit on the new campus. It remained in the College of Textiles complex until December 2012, when the collections were moved into the Hunt Library. A new Ph.D. program in Textile Technology Management was created in 1991, to fill the need to better prepare managers of the future who will be required to manage increasingly more complex technical operations. The first graduate was Jin-Feng Wang in 1993. 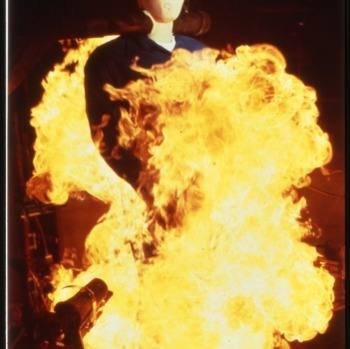 Pyro-Man (or PyroMan), a fully instrumented life-sized manikin, is used for the first time to evaluate the performance of thermal protective clothing. Pyro-Man is one of two computer-interfaced mannequins used by the Center for Research on Textile Protection and Comfort to test the viability of flame-resistant fabrics. Pyro-Man consists of a flame-resistant black composite body covered with 122 heat sensors, allowing the computer to plot the projected location and severity of burns on the body of a real person, such as a firefighter, a petrochemical worker, or a race car driver. A new Master of Science degree in Textile Engineering was created in 1993. New courses were developed to teach the engineering design aspects of yarn spinning, fabric formation, instrumentation, and quality management. The first graduates were James Christopher Love and Benjamin Robert Martin in 1995. A. Blanton Godfrey became Dean of the College of Textiles in 2000, and served in this position until 2014. Gary Mock wrote A Century of Progress: The Textile Program, North Carolina State University, 1899-1999. A print edition exists in the library. The Art2Wear student-organized runway show debuted in 2001. The event presents fashion, costume and wearable sculpture created by the students of the College of Design and the College of Textiles at NC State University. This annual event is organized and hosted by the College of Design’s Art + Design department in partnership with the College of Textiles to display juried examples of student work each Spring. David Hinks is named dean of the College of Textiles after serving as its interim leader since 2014.